Interestingly enough, the monastery has been witness to a large number of royal weddings. Not only that, it has also seen the royal birth of King Peter I from Castile. In fact, the monastery was founded by Alfonso VIII of Castile in the year 1187. The English translation of the name is The Abbey of Santa Maria. Do take a look at the timings before visiting. Love this? Explore the entire list of places to visit in Burgos before you plan your trip. Fancy a good night's sleep after a tiring day? Check out where to stay in Burgos and book an accommodation of your choice. How popular is Monasterio De Lashuelgas? People normally club together Casa Del Cordon and Cartuja De Miraflores while planning their visit to Monasterio De Lashuelgas. We went there to see the pendon of the Almohad empire during the battle of las navas de tolosa (1212). It marked the end of the empire and the decadence of Al Andalus. It also marked the end of our Andalusian road trip. The old abbaye ceiling is indeed a remarkable mudjerar artwork. 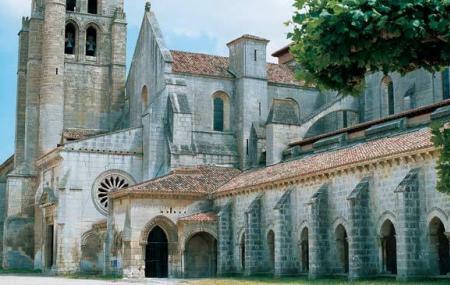 The monastery organises a 1h guided tour in Spanish. We had enough chance to have a polyglot guide who was keen to translate. Appart from the gigantic pendon the monastery holds the tomb of Alphonse VIII and a mural paint of the battle itself. Entries are free Wednesday and Thursday afternoon after 16 for EU citizens. Great place to visit if in Burgos. My experience was wonderful. The tour guide was wonderful she made you feel like you were back in time of the Kings and Royals.